All the plants on this list are suitable for growing in small containers so will not take up much space. With any list of this sort which claims be be the “Top 10” or “Best 10” will obviously be the personal choice of the creator of the selection. In this case you will find many old favorites plus one or two surprises. I came across this list in an article by Betty which I found on the Top Inspired website. With Spring coming soon, it’s time to think about which flowers and shrubs to plant in our garden now, so that we can later enjoy their colorful bloom. When it comes to this, we have plenty of choice and it can be really hard to pick just few. In this article, we are presenting you ten beautiful plants that can be planted in small containers. This way you can place them wherever you want around the garden. Plus, some of these flowers and shrubs are magnets for butterflies and hummingbirds – isn’t it wonderful? 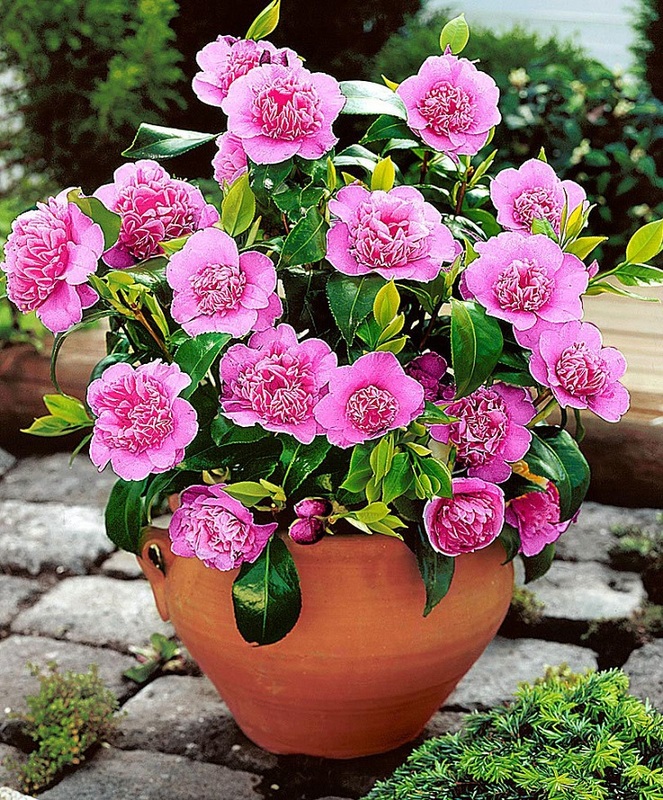 In order to grow and bloom better, it’s best if you plant the beautiful camellia in partial shade, in a place where it will be protected from the hot afternoon sun and strong winds.They require well-drained soil, especially when it comes to watering. There are more than 3.000 camellias that you can choose and each comes in different color, shape and size. Roses are such a classic and we cannot resist them, no matter their color or size. 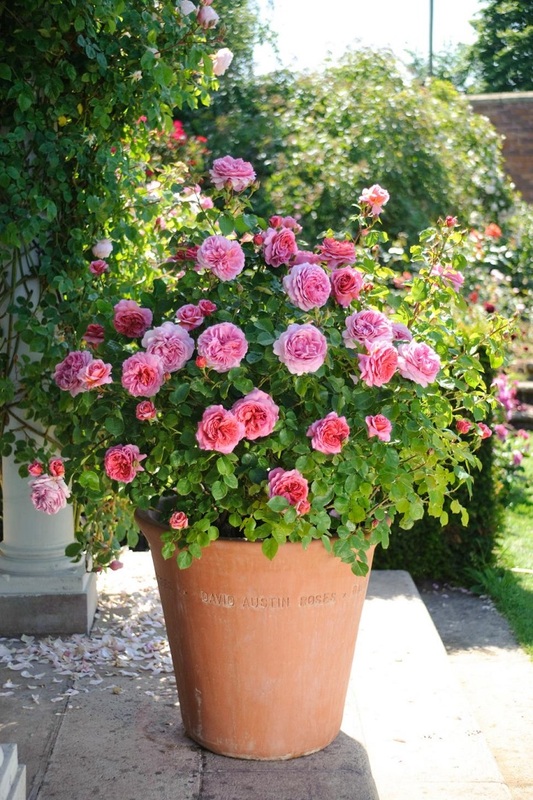 When it comes to miniature roses, they need at least five or six hours of direct sunlight. They have delicate roots that require plenty of watering and well-drained soil. Expect their blooming to happen in spring and their blooms last for weeks. Go to the next page to see more of these plants that are suitable for growing in small containers.